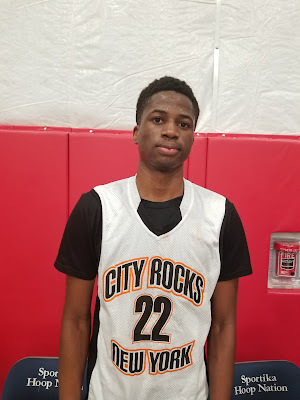 Jeannot Basima Guard (Albany City Rocks) – Basima is a long wing guard that has an array of scoring moves. We saw him use step backs, ball fakes and one or two dribble pulls up, and triple threat sweep throughs to create space and score. He has a nice handle and can drive and pass to the open man. He can score the ball at a high level and he plays with a purpose. 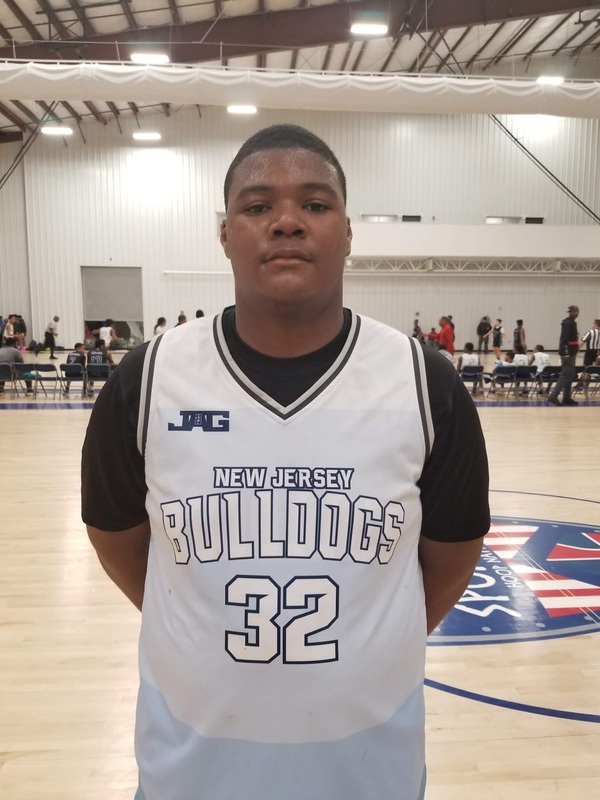 Sydir Mitchell Forward (NJ Bulldogs) – Mitchell is a tall strong big that has soft hands and nice agility for his size. His shows some toughness and grit clearing the glass on both ends of the floor. 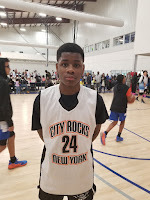 Sydir has a soft touch from the elbow or short corner and can knock down his free throws. 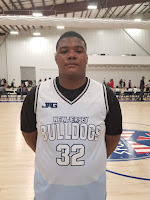 He is a problem for opposing teams at the 8th grade level. 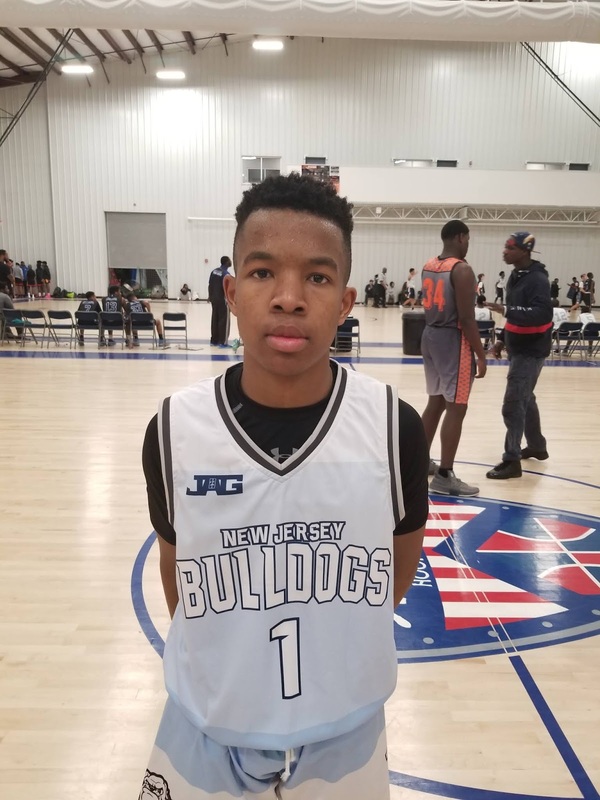 Hampton Sanders Guard (NJ Bulldogs) – Sanders is a strong compact PG that can score from all three levels. He plays fast and with a lot of intensity. 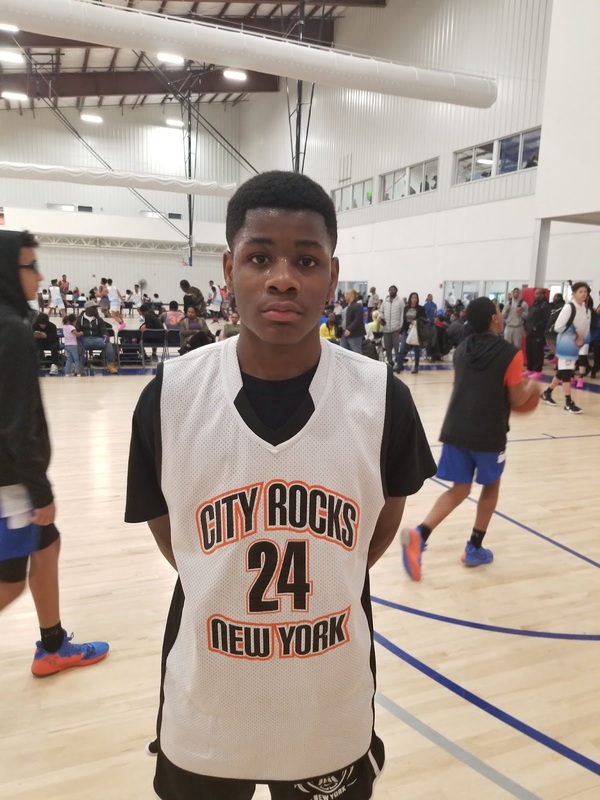 We saw him previously in the last event put up big numbers and he continued to show that he can score the ball at the Spring Invitational. He controls the pace of the game and can run the offense for his team. 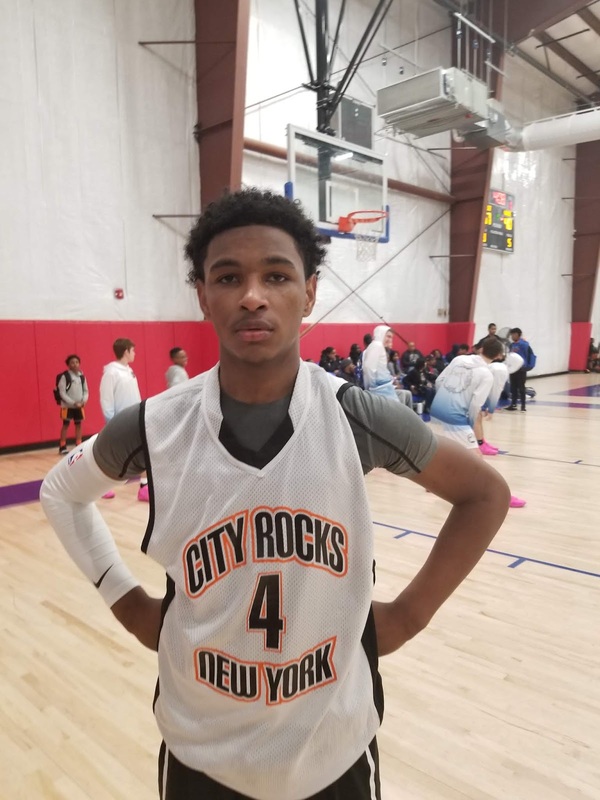 Marquis Handy Guard (Albany City Rocks) – Handy is a point guard with supreme confidence. He can finish in transition and he likes to stroke the 3ball. I like how he understands when he should shoot or get others involved. Defensively he competes and makes it difficult for the opposing guard he is covering. 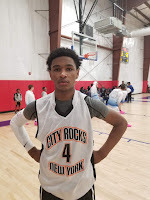 Royal Brown Guard (Albany City Rocks) – Royal is a smooth lefty guard that can attack and shoot a soft floater over the defense. He likes to stay in attack mode but he has the ability to also knock down perimeter jumpers. Brown is a gritty defender that can be your primary ball handler on offense. Brown, Basima, and Handy make up a formidable perimeter that can compete at a high level in the 8th grade.